It seems that most of these Marx items from the mid/late 70s have become quite obscure and are poorly documented, which is a shame. One of my favorite toys was the Marx "Undersea Adventure" playset from that era. It was sort of like a cross between MAC and Adventure People! Unfortunately, it seems to be very rare these days and is almost totally unknown. In fact, the only real thread I've ever been able to find about it is over on your Mego forum, and even there people seemed to be a bit confused about its origin. Anyway, I actually have a great picture of me and the Undersea Adventure box from Christmas '79, which I can send to you when I finally get my scanner working properly again. Also, I'd love to know if you ever manage to get your hands on a Marx 1979 catalog, as this set doesn't seem to be featured in any of their other ones. 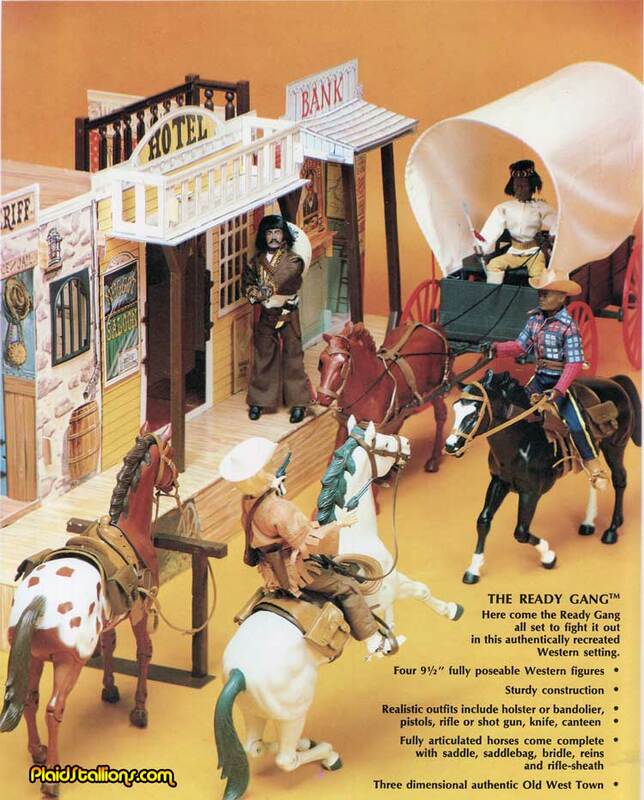 I remember this, I wanted the Black cowboy, I thought he was cool and no one else had one.